FUNimation Entertainment has announced that tickets for the live-action Attack on Titan movies are now available for purchase via the official site at AttackonTitanTheMovie.com. The new, two-part feature film is a limited theatrical release and will screen in nearly 300 theaters across the United States and Canada. In the U.S., Part 1 will play in theaters on September 30, October 1 and 7 and has an approximate running time of 98 minutes; and Part 2 will screen two weeks later on October 20, 22 and 27 and has an approximate running time of 87 minutes. In Canada, Part 1 will play in theaters on October 5 and 26 followed by Part 2 on October 22 and October 26. Based on the popular manga series of the same name, Attack on Titan takes place in a world where the remnants of humanity live inside a series of connected cities, isolated by enormous walls. These walls exists to keep the Titans out, gigantic humanoid creatures who devour humans seemingly without reason. These Titans have reduced the world’s population to staggeringly low numbers. The three main protagonists of Isayama’s manga are Eren Jaeger, his adoptive sister Mikasa Ackerman, and their friend Armin Arlert. 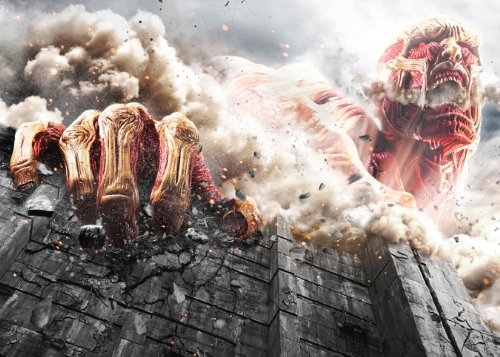 Their lives are changed forever when a ‘Colossal Titan’ breaches the wall protecting their town, leading to the death of Eren’s mother. Vowing revenge and to reclaim the world from the Titans, Eren, Mikasa and Armin join the Survey Corps, an elite group of soldiers who fight Titans outside the walls. 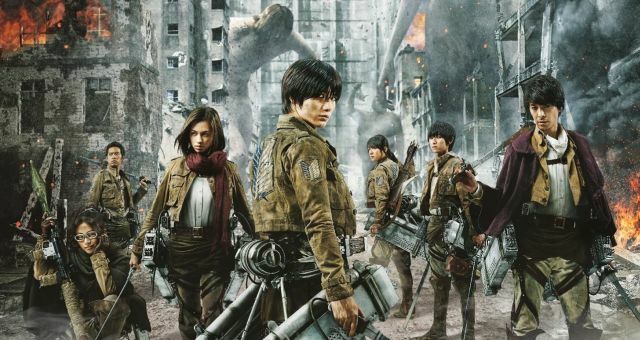 With more than 50 million copies in print today, Attack on Titan has also inspired four spin-off manga as well as a 25-episode anime series which FUNimation both simulcast and released to home video in North America.